Important legislation passes in the Assembly every year and then dies in the State Senate. I will be a strong advocate for bringing legislation up for a vote, even if it might not pass. Our democracy depends on voters knowing where their elected officials stand on the issues and having a chance to weigh in with their opinions. I strongly support the New York Health Act, which would guarantee health insurance for all New Yorkers while saving tens of billions of dollars in health care costs. It has the strong support of health care workers. It would insulate the state from the worst machinations of the GOP in Washington, as they try to destroy Obamacare. It would also return millions of dollars to our cities and counties that have been pushed to bankruptcy by being forced to foot the bill for Medicare costs. The NYHA passed in the NY Assembly but has died in committee in the Senate. The Senate needs to hold hearings and debate on the future of health care in New York, bringing every stakeholder to the table to craft a better bill and a solution that makes sure every New Yorker has access to the health care they need. New York State makes it harder to vote and easier to buy influence from politicians than nearly all other states. I support robust campaign finance reform, including eventual public financing of campaigns. We also need to end the partisan gerrymandering that has given Republicans a lopsided advantage in the State Senate, and favored Democrats in the Assembly. Climate change is already hurting our state, through flooding and extreme weather events that damage crops and homes and jeopardize the ecosystems we depend upon. I support the Climate and Community Protection Act , which has passed in the NY Assembly. It will help New York minimize the adverse impacts of climate change by reducing greenhouse gas emissions, creating good jobs and protecting workers whose jobs might be affected, and prioritizing the safety and health of disadvantaged communities. We need to move decisively away from fossil fuels, including rejecting any new fossil fuel infrastructure, such as fracked gas pipelines, without putting undue burdens on those least able to afford alternative energy sources. A good start is the proposal for Zero Cost Solar for All in the Governor’s 2018 State of the State address, which would provide 10,000 low-income households with solar installations. But we need robust and concerted efforts as well to address energy use in transportation. Recent technological breakthroughs, such as the electric 18-wheeler, and tried and true technologies like high speed rail should be supported by the state. Waste reduction should be another important priority for New York State. As a long-time board member of OCRRA, our local waste management agency, I championed the construction of a state-of-the-art food waste composting facility, which diverts tons of organic waste from landfills and incinerators and turns it into a valuable soil amendment. A mandate for commercial organics recycling has failed to make it into the last three state budgets; we should pass that legislation. We should also pass a plastic bag ban, coupled with a fee on paper bags. New Yorkers toss out 23 billion single-use plastic bags every year, and many of them end up in our waterways and eventually in our food chain. Many others find their way mistakenly into recycling bins and gum up the machinery at recycling facilities. And still others festoon our trees and shrubs. Governments around the world have banned single-use bags with great success, and New York can and should follow suit. New York has not updated its laws on women’s reproductive rights since before the US Supreme Court’s ruling in Roe v. Wade. This is yet another area where the IDC-GOP collusion in the Senate prevented New York from enacting 21st-century civil rights and public health laws. 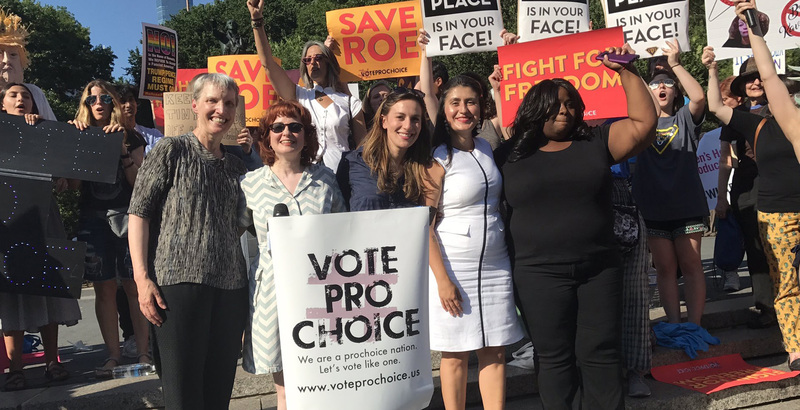 I support the Reproductive Health Act, to make sure that New Yorkers have protection in case the Trump Supreme Court overturns Roe. I also support the Comprehensive Contraceptive Coverage Act, which expands insurance coverage for all FDA-approved forms of contraception, plus contraception counseling and education. New York State has consistently underfunded its neediest school districts. The Foundation Aid system has been hijacked by wealthy, politically powerful school districts, and the schools with greatest needs suffer. It is time to target taxpayer funding for public schools to the places where it will have the greatest impact. Read more here. The IDC was funded by donations from hedge funds that profit from charter schools, which, in turn, siphon taxpayer money away from the public schools. I do not support for-profit charter schools. I believe New York voters deserve better election laws. Many other states have early voting, automatic voter registration, same-day registration, and even vote-by-mail. New York has some of the most restrictive voting laws in the country, and some of the lowest voter participation rates. These restrictive laws make it particularly hard for people of modest means to participate in elections. Easy Elections laws have passed in the Assembly, but have been blocked for years from coming up for a vote in the Senate. The fact that early voting failed to pass yet again in this year’s budget is an indictment of our political system. 37 states have passed early voting; New York should not be vying for last place in promoting participation in our democracy. Interstate 81 covers 846 miles from Tennessee to New York, and Syracuse is the only place along its entire route where the highway cuts through the center of a city. The original construction of the viaduct, which was opposed by the city at the time, destroyed the old, vibrant, predominantly African-American 15th Ward. It resulted in fifty years of racial segregation, concentrated poverty, and reduced quality of life in the area. With the end of its useful life approaching, we finally have an opportunity to restore that central corridor in Syracuse as a hub of mixed-use development that can serve long-time residents and welcome new entrepreneurs. I support the “community grid” option that would keep traffic in the area at street level and create a walkable, bikeable, transit-friendly landscape that is not designed solely to move cars through the city at high speed. As I said at the rally for the grid option in October, if you design a city for cars, you get cars. If you design it for people, you get people. There are ample alternative routes for through traffic, and there is no substitute for a coherent urban core. Cities around the country are tearing down highways and rejuvenating urban neighborhoods without creating any serious traffic concerns. We can do this; it’s time.